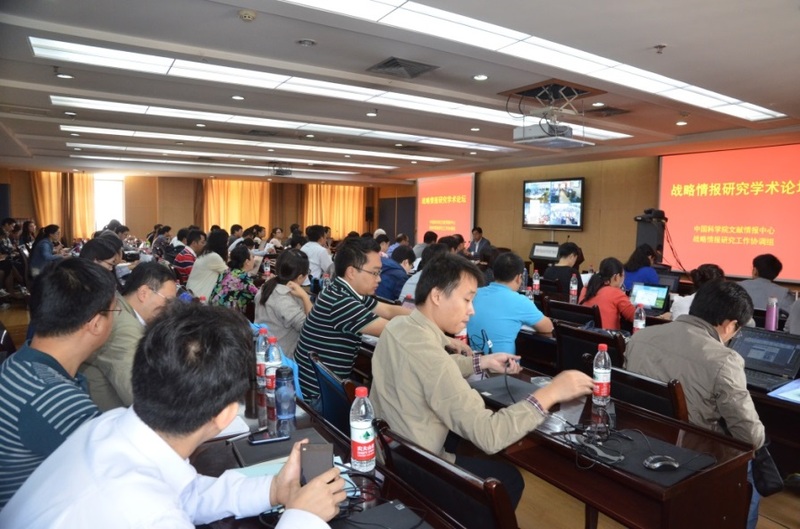 Strategic Information Research Academic Forum 2014" was successfully held in Lanzhou literature and information Center of Chinese Academy of Sciences, sponsored by Strategic Information Research Coordination Group of the Ministry of Strategic Information research，Advisory institution of Scientific Strategies, Chinese Academy of Science（CAS）on 18-19 September 2014. The purpose of this forum is full implementation of the CAS, "the first action plan" requirement to continuously improve strategic information research and decision-making ability of consultancy services of strategic information research institutions, CAS, to accelerate decision-making advisory service system to better support CAS, to build first-class “science and technology think tank” to provide strong strategic information research and decision-making services to the country , Technology strategic decisions of CAS and technological innovation. 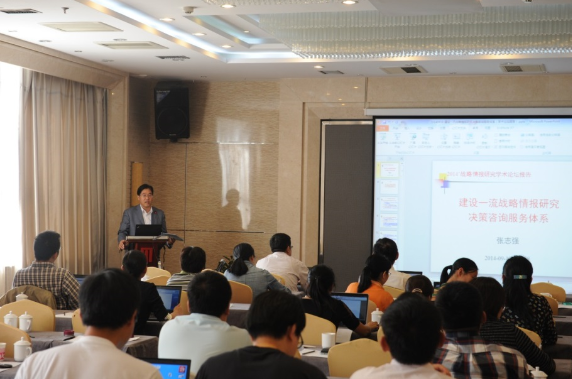 This Forum is more than 70 delegates and key personnel of Lanzhou in the field to participate the academic forum who come from National Science Library, Lanzhou, Chengdu, Wuhan literature and information Centers of CAS, Xinjiang Institute of Ecology and Geography, CAS, Institute of Oceanography, CAS, Science and Technology Library of Guangdong Province and so on. Invited conference theme report also launched a four video venue: Beijing, Chengdu, Wuhan and Shanghai Hospital Center, Chengdu, Wuhan and Shanghai, the center and the center. Forum chaired by Zhang Zhiqiang who is the Deputy Director of the National Science Library, CAS, and director of Lanzhou literature and information Center. The Academic Forum is divided into invited expert reports and forum for the exchange report two parts. Forum invited the four scientific experts in the field of strategic information research and science data, they made ? ?related reports on strategic information research paradigm changes and new trends, big data and data science, as well as information on topics such as co-occurrence analysis. Zhang Xiaolin, Director of the National Science Library of CAS, reported "significant issue-driven strategic information analysis," analyzes the development trend and characteristics of the current working model and technical mechanisms of strategic information research, describes the new trend of the major issues driving the development of strategic information research services. Li Jianhui, Director of Computer Network Information Center, CAS, Miao Qihao, researcher of Institute Scientific & Technical Information of Shanghai, and Cui Lei, a professor of Department of Information Management and Information Systems of China Medical University all made the conference report, respectively. In exchange of reports in the forum section, the Forum set up five thematic areas grouped reports, 36 information researchers from inside and outside the CAS research unit of information disciplines, did academic exchange reports around The strategic information research field application analysis case, scientific policy research and analysis think tank construction, scientific evaluation analysis and applications, software tools and standard patent application cases, strategic information research trends and challenges five topics, and based on the results of these practices and the latest research topics carried on in-depth discussions and exchanges. 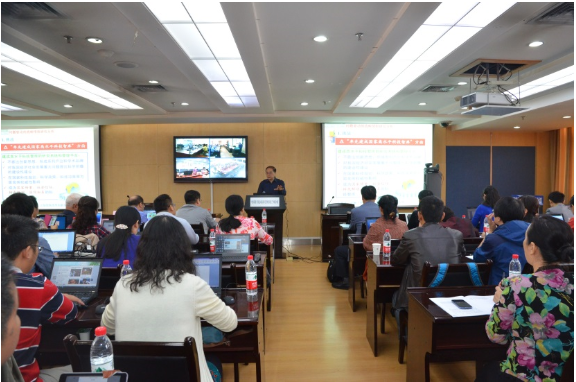 Zhang Zhiqiang, made ​​a presentation of the forum summary report, entitled "Building Strategic Information Decision-class advisory services system". Report outlines developments in the international think tank, basic features of the new situation and opportunities for development and construction of think tanks, emphasizing the National Academy of Sciences built the first high-level strategic significance of science and technology think tank, focuses on the considerations and requirements for the strategic positioning, development goals, building ideas, focusing on building content and building systems, research directions, research outputs and organizational management and other aspect of the Ministry of Strategic Information research, Advisory institution of Scientific Strategies, CAS.